Hands up, who among you could place Liechtenstein on a map? Nestled away in the Alps between Austria and Switzerland, the Principality is the sixth smallest country in the world (behind Vatican City, Monaco, Nauru, Tuvalu and San Marino) and one of only two double landlocked countries (Uzbekistan being the other). So you may be forgiven for taking a second or five to locate it on a map - but now it is time to learn a bit more about this tiny nation. While we have previously written plenty about the history of the Princely Family of Liechtenstein, such as here and here, we have yet to really cover the country's history apart from the odd tidbit here and there. With Liechtenstein's 300th anniversary celebrations kicking off this week, we thought it would be really interesting to bring you a bit of the country's history. Here's the next fun fact for you (and probably not the last in today's post): Liechtenstein takes its name from a castle located about 500 kilometres beeline - that's about 310 miles - to its east. Say whaaat? Well, there's one intermediate step: Burg Liechtenstein in Maria Enzersdorf south of Vienna first gave its name to a noble family in the 12th century and a few centuries down the road that noble family gave their name to the country that became Liechtenstein - which just goes to show how intertwined the histories of the family and the country are. It was likely a cold winter day when on January 23, 1719, almost 300 years ago, Holy Roman Emperor Karl VI issued a decree saying that the county of Vaduz and the lordship of Schellenberg were to be united and elevated to the dignity of a principality with the name of "Liechtenstein" in honour of "[his] true servant, Anton Florian of Liechtenstein". The Liechtensteins had been long-time advisors to the Habsburg rulers but they lacked one thing: Reichsunmittelbarkeit meaning all their vast properties were held in fief under other more senior feudal lords and thus they did not qualify for a seat in the Imperial Diet. It was in 1699, that the chance for the Liechtenstein's to elevate their rank finally arose: That year, Prince Hans-Adam I bought the lordship of Schellenberg including a pre-emption for the county of Vaduz, which he purchased thirteen years later from the Count of Hohenems. Both areas were small and poor, inhabited by a few mountain farmers. Only recently, the country had been ravaged by the plague and excessive witch hunt by none other than its ruler at the time, Ferdinand Karl von Hohenems (1650–1686), who was actually deprived of his dominions by the Holy Roman Emperor in 1684 for his witch hunts. While the Emperor did give the lands to other members of the Hohenems family first, they were ultimately forced to sell the areas to pay off debts, first Schellenberg and later Vaduz. But why did the Liechtensteins want these backwaters so badly? The County of Vaduz carried one great advantage: While being created in 1342, after the subdivision of the County of Werdenberg, it had been declared reichsunmittelbar in 1396 meaning that it would grant the owner a seat in the Imperial Diet. The same day Liechtenstein was created in 1719, the country became a sovereign member state of the Holy Roman Empire and the Liechtensteins thus Princes of the Holy Roman Empire. (Fun fact #4: This also makes the Principality of Liechtenstein the last relic of the Holy Roman Empire surviving to this day.) While the country's creation did elevate the family's status, they did not take a major interest into the country bearing their name for much of the next two centuries. After their experiences with their witch-hunting former ruler, this was probably something very much welcomed by the regular people of the country. Stormy times, however, came to Liechtenstein (and Europe) about 100 years later. 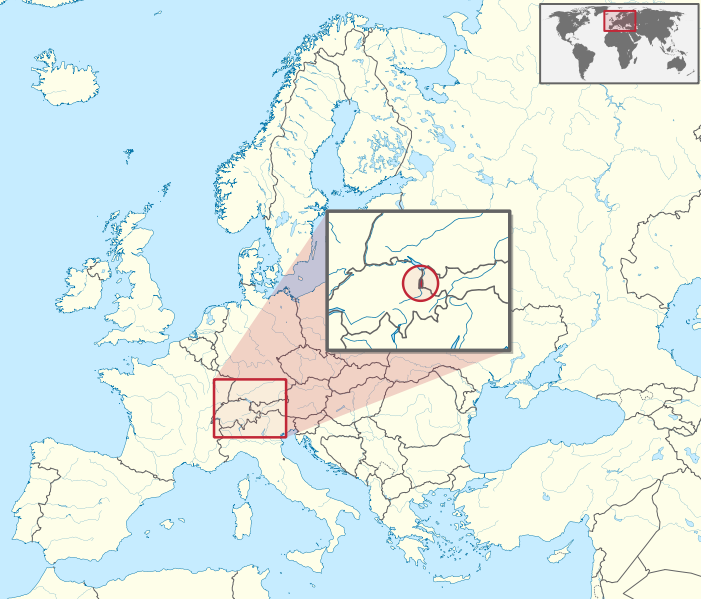 In 1806, there were plans to incorporate the Principality into Bavaria as part of the mediatisation, a process that saw the number of German states drop from almost 300 to just 39. Liechtenstein survived, was declared a sovereign state by Napoleon and joined the Confederation of the Rhine later that year. Fun fact: All of this was actually Napoleon's doing as he hoped to find a Vienna-based ally in Prince Johann I by his actions. 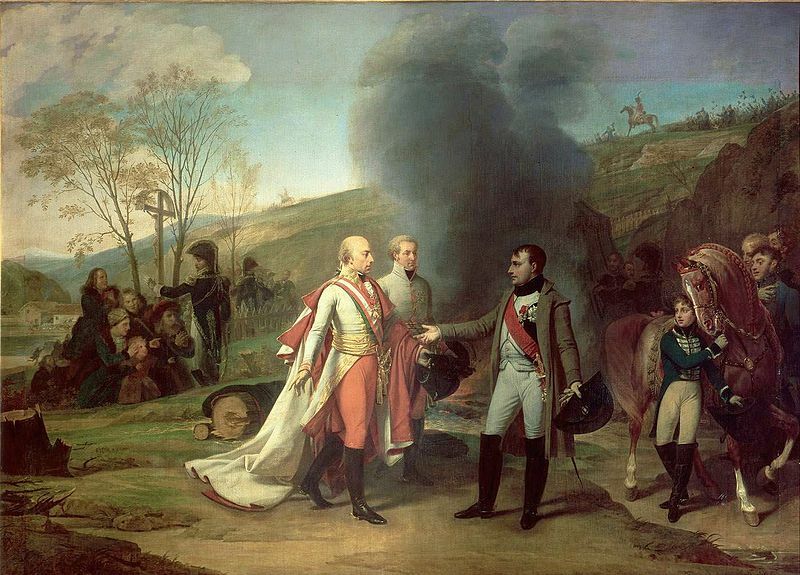 But even though Liechtenstein's prince did not oppose Napoleon's decision, he neither signed the Act of Confederation nor ever formally quit the Holy Roman Empire. 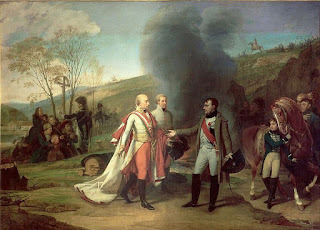 The Liechtensteins managed to retain their Principality's independence during the Congress of Vienna in 1815 due to their powerful position as important advisors to the Habsburg rulers. Later that same year, Liechtenstein joined the German Confederation. 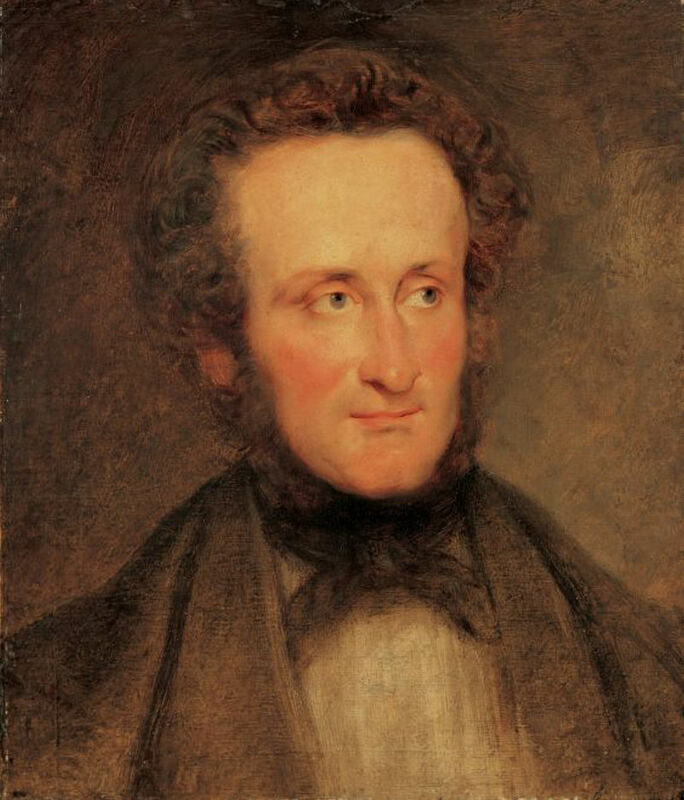 Prince Johann I also was the first Fürst of Liechtenstein to be actively involved in the politics of the day, though he never visited the Principality. Despite being a profoundly absolutistic ruler, he did make some forward-thinking reforms. Already in 1805, he mandated a legislated compulsory education. He also introduced the land register as well as the freedom of establishment, abolished the serfdom, organised the medical corps and created Liechtenstein's parliament, the Landtag, by absolutist constitution in 1818, the country's first. However, the parliament was only convened to a meeting once a year by the sovereign prince and it did not possess any real rights as its sole function was to assent "with gratitude" to the annual demand for taxes. In order to carry through his ideas, Prince Johann I employed a Landvogt who was apparently largely detested by the population. 1818 also saw the first visit by a member of the Princely Family to the Principality when Prince Alois spent some time in Liechtenstein. Though it took another 24 years for the first visit by a sovereign prince when Alois returned after he succeeded to the throne a couple of years earlier. While much of Europe was swept by the industrialisation during the course of the 19th century, economically and geographically isolated Liechtenstein remained a backwater. After a customs treaty with Austria-Hungary in 1852, some textile industry came to the country and somewhat improved the situation. In 1861, the first bank opened in Liechtenstein and a year later, in 1862, Prince Johann II gave Liechtenstein its second constitution creating a parliament representative of the people. While the Fürst continued to rule the country, he needed the consent of the parliament to introduce new laws. The same year, Liechtenstein's first newspaper was published. The Austro-Prussian War of 1866 brought about the last time Liechtenstein entered into an armed conflict. This was controversial both within the country and with the Prince and so he placed his soldiers at the disposal of the Confederation but they could only fight against non-Germans speakers as the Prince considered the conflict to be a needless war of brothers. In the end, the Liechtenstein soldiers were deployed to defend the Liechtenstein/Austrian borders against the Italians. When the war ended, the soldiers returned home to Vaduz to a ceremonial welcome. Legend has it that while 80 men went away, 81 came back. 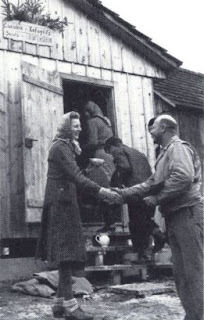 Apparently an Austrian liaison officer joined up with the contingent because the Liechtensteiners were such nice people. Two years later, in 1868, Liechtenstein's army was disbanded. Having no army, the Principality managed to stay neutral during World War I. However, the strict sanctions towards Austria hit Liechtenstein hard because both countries were closely tied together: The monetary, postal and customs unions with Austria were dissolved leading to a collapse of the textile industry. The people were impoverished and a hunger crisis within the country ensued as there was no other industry to speak of. Liechtenstein realigned itself with its other neighbour, Switzerland, forming a customs and monetary union in 1923. Two years earlier, Prince Johann II had signed a new Liechtenstein constitution, the one remaining until today, into law. The inter-war years brought calm and some prosperity to the country. However in 1927, Liechtenstein was devastated by floods. On a Sunday in September, heavy warm rains in the Swiss Alps melted ice and snow, raising the level of Lake Constance by 15 feet and turning the Rhine River into a raging torrent. 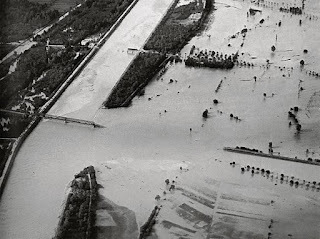 A dam on the border between Switzerland and Liechtenstein broke and essentially all of low level Liechtenstein filled up with water submerging all of the country's farmlands. The international media wrote: "Nearly the whole of Liechtenstein is reported as presenting the appearance of a huge bog, with only the bolder housetops and church spires protruding from the mud." The floods of 1927 saw the future Fürst Franz-Josef II visit Liechtenstein in his first official capacity. In an unprecedented show of support, 710 volunteers from 25 countries went to Liechtenstein to help dig it out of the mud. Austria and Switzerland sent soldiers to assist in relief efforts. 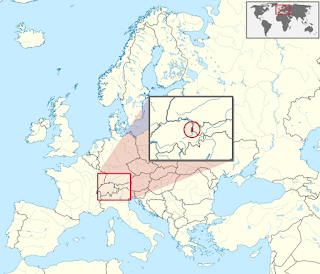 While there were plans to annex Liechtenstein by Nazi-Germany, the Principality managed to stay neutral throughout the Second World War as well. In 1938, Prince Franz Josef II had moved his main residence from Austria to Liechtenstein. The move to the Principality changed the relationship between the people of Liechtenstein and their ruler: All of a sudden, the Princely Family wasn't a distant symbol anymore but very real and palpable. After the Anschluss of Austria into Germany, a contingent of Swiss border guards was stationed in the Principality to reinforce the frontier. However, some fascist ideas had found their way into Liechtenstein: In 1939, the German National Movement in Liechtenstein staged a coup attempt, first trying to provoke a German intervention by burning swastikas, followed by declaring an Anschluss with Germany. The leaders were almost immediately arrested. After the end of World War II, Liechtenstein granted asylum to some five hundred soldiers of the First Russian National Army, a collaborationist Russian force within the German Wehrmacht, who otherwise would have likely faced execution. 500 additional mouthes to feed was quite a feat for such a small and poor country shortly after a war that had devastated much of Europe. The refugees were ultimately resettled to Argentina. The post-war period saw the slow economic rise of Liechtenstein that later accelarated and let the country reach one of the highest gross domestic products per person in the world. Fun fact #[I lost count]: Back in the 1950's, stamp sales allegedly still contributed up to a third of the state budget. In the following decades, the modernisation of the economy and low corporate tax rates attracted the establishment of companies. Did you know that the Principality is the largest producer of false teeth in the world? (Fun fact #[I lost count+1]) About 40 percent of all false teeth in Europe and about 20 percent worldwide come from Liechtenstein. However, the country's and the Liechtenstein family's greatest riches came by the establishment of the banking sector and some - shall we say - interesting constructions around the avoidance of taxes. While still big in banking, Liechtenstein is no longer considered a tax haven and has been scratched off all blacklists after reforms over recent years. Something that only came to Liechtenstein rather recently is actually the women's right to vote - one of it's most vocal campaigners: Princess Gina herself. It happened in 1984 with the [sarcasm on] overwhelming [sarcasm off] majority of 51 percent (voted on exclusively by men) after a process taking almost two decades that had seen previous failed referendums in 1968, 1971 and 1973. Though, another fun fact, Liechtenstein was only the second European country, after Switzerland, where men actually gave women the right to vote in a popular vote. In 1990, Liechtenstein became the 160th member state of the United Nations fostering its independence. During the course of the Nineties, they also joined the European Free Trade Association, the European Economic Area and the World Trade Organization. More recently, the country also became a member of the Schengen area in 2012. The beginning of the 21st century saw a constitutional referendum in Liechtenstein. It was a controversial one, both in the country and abroad, as it gave the Fürst the rights to dismiss the government, nominate judges and veto legislation in addition to the previously held rights to dissolve parliament and call new elections. In turn, the population was given the right to get rid of their sovereign prince or the monarchy all together in simple referendums. In the end, two thirds of the people voted in favour of the revised constitution. In 2004, Prince Hans-Adam II handed over his powers to his oldest son, Hereditary Prince Alois, who acts as his regent.